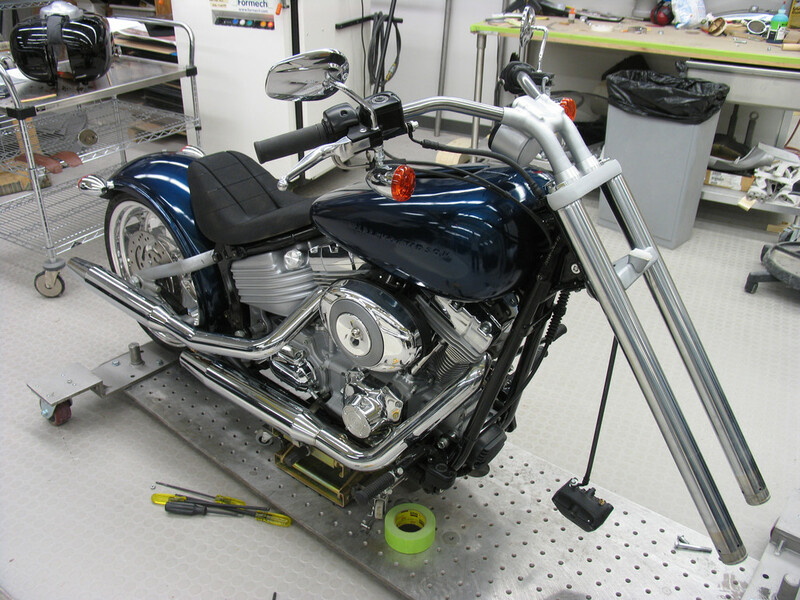 Mocking up the bike’s oil tank. Filming footage for the interactive. 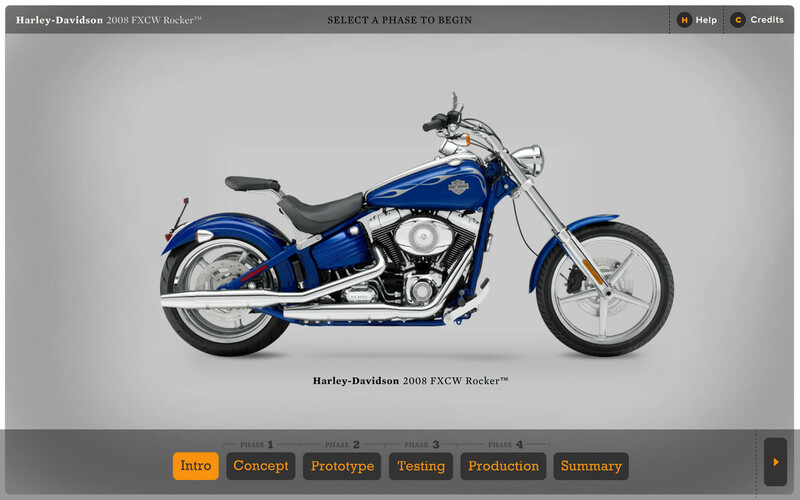 Inside the Harley design studio. 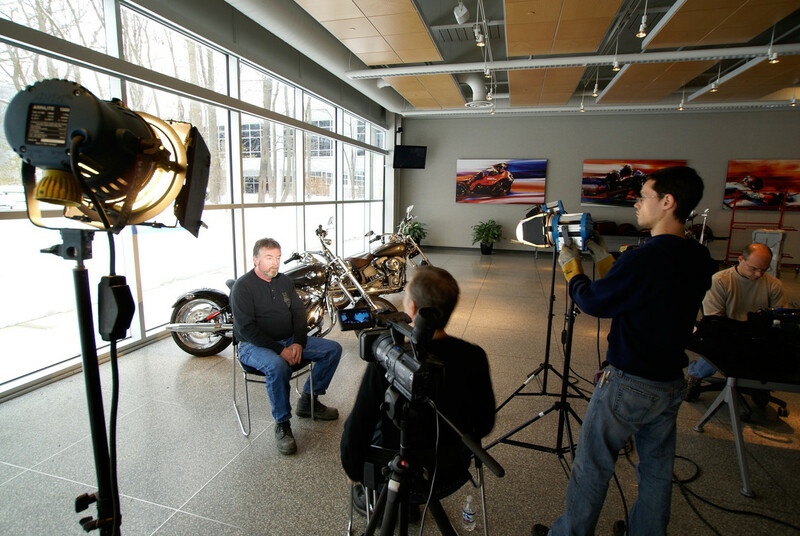 Harley-Davidson Museum commissioned Belle & Wissell to conceive and realize an interactive video station that shows behind-the-scenes of the Harley-Davidson Product Development Center. 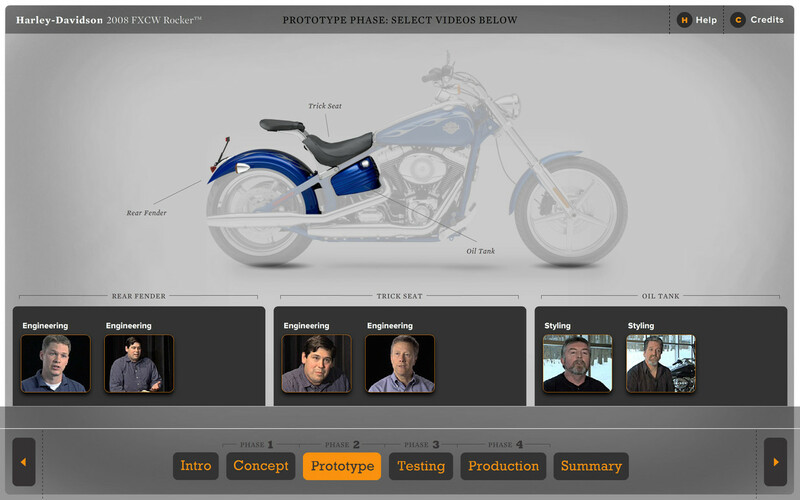 The story is delivered through the concept, prototype, engineering, and manufacturing stages of the 2008 Harley-Davidson Rocker, and presented via touch-screen kiosk and companion video screen. 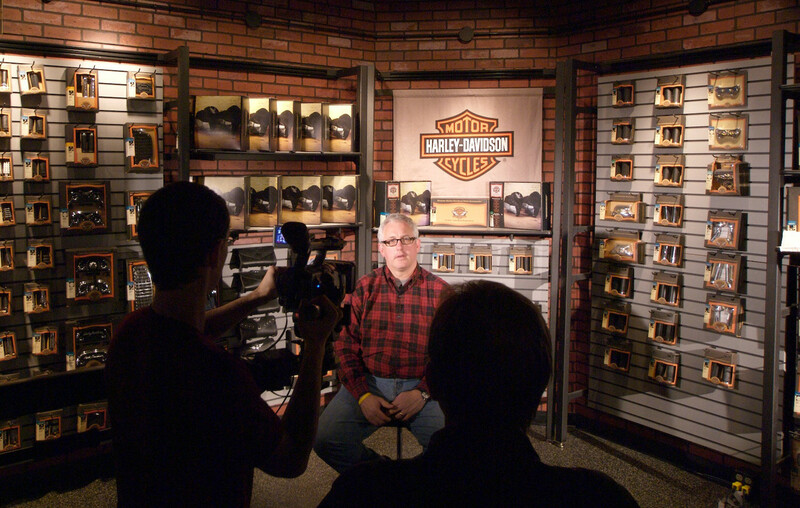 Thirty-three high-definition videos were shot on location at the Harley-Davidson Product Development Center. Video direction and editing was led by Belle & Wissell team member David Waingarten. 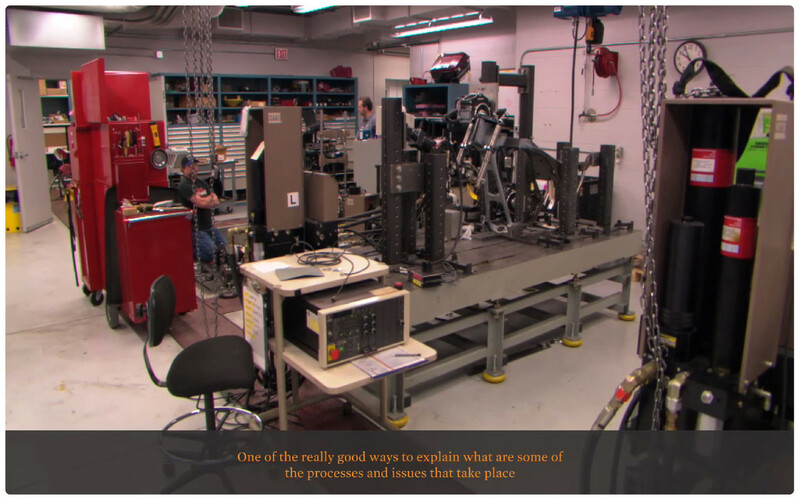 The highly collaborative process is revealed through interviews of key team members and their demonstrations of the approaches taken to develop these remarkable vehicles.